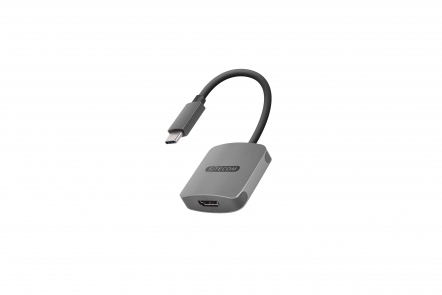 The CN-372 USB-C to HDMI Adapter from Sitecom lets you connect a TV, monitor or projector that uses HDMI to the USB-C port of your MacBook, Chromebook or Windows notebook. Watch video content from your MacBook, Chromebook or Windows notebook on an Ultra HD TV or home projector and enjoy a first class home-cinema experience. Since the adapter can transmit both the video and audio signal, no additional audio cable or speaker setup is needed. You can also use the USB-C to HDMI Adapter to extend your notebook’s desktop to a larger screen and increase your productivity or mirror the content to let your audience see what you are seeing. 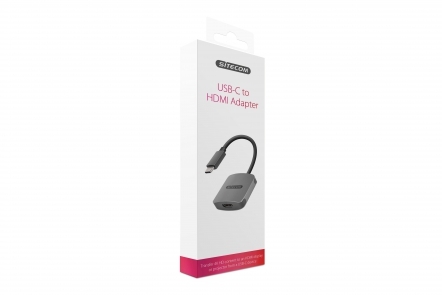 The USB-C to HDMI Adapter supports a video output resolution of up to 3840x2160 (Ultra HD) and provides a crystal-clear viewing experience on every screen. The adapter is fully Plug & Play out of the box. Simply plug the adapter into the USB-C port of your MacBook, Chromebook or Windows notebook, no drivers needed. The adapter is compatible with all operating systems.